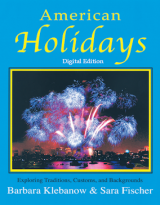 New to this edition are readings on cultural holidays (Chinese New Year, Kwanzaa, and Cinco de Mayo) and on Christian, Muslim, and Jewish religious holidays. Also new in every lesson there are internet research assignments including specific topics and links to interesting sites carefully chosen to get the students started on original, creative web searches for information to be shared with their class. This is a cultural reader. The twenty up-dated readings serve as springboards for conversation and writing. Teachers have reported to us that it works great as the basis for all kinds of creative activities. But it is more than a cultural reader; it's also a vocabulary development text that both focuses on specific words (in bold in the text) and teaches vocabulary acquisition skills. From context, students work out the meaning of the words. Then they match these words to definitions and do exercises introducing them to the noun, verb, adverb, and adjective forms of the words. This is a new edition of one of Pro Lingua's most successful textbooks. If you and your students have been enjoying American Holidays for the last twenty years, don't worry. This is basically the book you've known. However, for twenty years we've been collecting from enthusiastic teachers many suggestions on ways to improve the book. This Enhanced eBook includes a desktop version which may be used offline. Download the BOP (zip) file for use on either a Windows PC, or a Mac. For Android, download the app to your device. In both cases, use the unique keycode on the product page to gain full access to either version. If unsure, check the Help pages here. Barbara Klebanow received her formal teacher training at Brooklyn College, graduating in 1954. She taught ESL at the Great Neck NY Adult Education Center for nearly 30 years from 1952 until her retirement in 1982. Her co-author, Dr. Sara Fischer, has a PhD in Education and bilingualism, and a MA in Reading She has been teaching Graduate Education courses for the TESOL program at Touro College. That position provided her a great deal of experience on materials and practices that work best for ESL students. 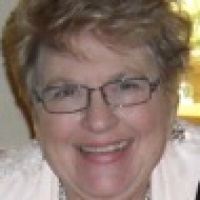 Additionally she has worked for many years in the publishing industry writing materials for bilingual and ESL classes which included original texts and practice exercises as well as teacher’s manuals. Pro Lingua is a small publishing company located in Brattleboro, Vermont. We dedicate ourselves to producing superior language teaching materials. We sell our books directly to teachers and schools and through all bookstores and major distributors in the United States and overseas. Our full catalogue of materials is also available here in our website bookstore at www.ProLinguaAssociates.com. A bit of philosophy: At Pro Lingua, our objective is to foster an approach to learning and teaching which we call Interplay, the interaction of language learners and teachers with their materials, with the language and the culture, and with each other in active, creative and productive play.